Are we hedged from another Lehman Brothers debacle? About 10 years ago, the world witnessed one of the biggest crises the financial markets have seen—defaults on subprime mortgages climbed and had a domino effect on the banking and financial system of the US. One of the first major financial firms to go under was investment house Bear Stearns, which had to be bailed out by the government. Subsequently, many banks fell. Merrill Lynch found itself a buyer and sold itself to Bank of America for half its market value. Things, however, didn’t appear so perky for Wall Street titan Lehman Brothers. It could not find a buyer and the government refused a Bear Stearns-type subsidy, prompting it to file for the largest bankruptcy filing in history. Lehman’s demise made it the largest victim of what came to be known as the financial crisis of 2008. Repercussions in other economies followed soon after. What exactly happened 10 years ago? And as is well-known, greed gets the best of all of us. Mortgage dealers didn’t just hold these loans, they sold these loans to banks or to Fannie Mae and Freddie Mac, which were institutions especially created by the Congress to keep the money flowing into the housing market. These institutions would buy the mortgages and offer mortgage lenders more money to lend, causing a chicken and egg situation. These mortgage giants would then bundle these loans as mortgage-backed securities, a type of asset-backed security safeguarded by a mortgage, and take it forward to investment banks. Banks would then act as intermediaries between borrowers and investors, who hoped for high returns on these high-risk investments. This cycle continued. As the housing prices rose, each one in the chain profited. However, things came to the fore when housing prices flattened and people actually had to pay their mortgages. The housing bubble burst, and mortgage holders defaulted, setting up a series of disastrous events. Thus, 2006’s mild slump in prices became a freefall in 2008. US’s financial system crumbled, especially the banking sector. As the world’s largest economy tottered to a collapse, by the end of the year, China and Japan were locked in recession, especially hitting their export-oriented manufacturers. European economies suffered as a result of dabbling in American real estate securities. Thus, the “Made in US” crisis threatened to pull down the global economy. What steps were taken to protect banks post the debacle? Post the crisis, President Barack Obama’s government implemented the Dodd-Frank Wall Street Reform and Consumer Protection Act with the aim of preventing another financial crisis by creating new regulations. The most-weighty regulation involved directing banks to hold more capital against the risks they take. Incidentally, earlier, Wall Street investment banks used clients’ money to trade in derivatives for their own profit. However, the new rules banned them from doing so and instead asked them to focus on facilitating client trades. Further, the Act established new agencies such as the Financial Stability Oversight Council, which monitors the functioning of companies termed “too big to fail,” that is, companies that are interconnected with the global economy and whose collapse could be catastrophic. It also keeps an eye on financial firms such as hedge funds, derivative and mortgage brokers, essentially all entities whose failure could lead to systemic problems. The Orderly Liquidation Authority liquidates and restructures firms considered financially weak. Further, the Consumer Financial Protection Bureau dissuades faulty mortgage lending. As the global economy came to be affected, the Basel Committee on Banking Supervision went in overdrive and in 2009, published the first version of the Basel III norms. Driven by the problems that set off the crisis, the committee directed banks to maintain appropriate liquidity measures and capital requirements. Thus, banks were asked to retain a certain minimum level of capital and not lend all the money that they received from deposits. Liquidity requirements disallowed excessive borrowings and ensured that banks have enough liquidity during financial strain. These are globally applicable. Hold on though, did the crisis affect India in any way and how is the banking industry currently doing back home? After the Lehman Brothers collapsed in mid-September 2008, it led to a full-blown meltdown of the global markets. It slowed down demand leading to declining commodity prices, which, in turn, affected exports. Thus, export-driven developing economies were severely affected. However, India isn’t that dependent on exports to drive its economy; hence, the effect of the financial crisis was somewhat muted. The major effect was in the form of reversal of FII flows: In 2008-09, $15bn worth of FII funds were pulled back from the economy owing to spiked risk aversion and crushed investor confidence. The strength of domestic demand drove the economy forward even during such times of turmoil. The central bank saved the day using unorthodox tools to calm the volatility. Currently, India has its hand full with the NPA situation: banks are starting to show signs of recovery after sustaining major blows to profitability owing to rising non-performing assets, thanks to the intervention of the central bank via the Insolvency and Bankruptcy Code (IBC) and the injection of capital infusion by the government. This, however, is a domestic issue and unrelated to the subprime crisis of 2008. Meanwhile, how is the US economy faring? Currently, the US economy appears strong. The Feds have been continuously raising interest rates as the annual inflation rate hovers near the 2% target rate set by the Fed Reserve. This is despite President Donald Trump’s lament that rising interest rates impede strong growth that he plans to achieve by re-writing trade deals with major economies and with massive tax cuts. Incidentally, if US’ growth story continues at this rate, in 2020, it will be the longest expansion in US history so far. The Fed, however, has not stopped the quantitative easing exercise. Nevertheless, the world’s largest economy has surely seen a massive turnaround in a span of ten years. So, where does this leave investors? 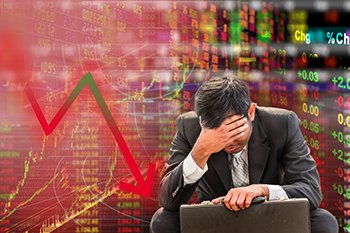 As of now, investors have turned their attention to another concern haunting the markets: the ongoing trade and tariff wars and rising protectionism provoked by the US. For them, it is once again, enter instability, exit high-risk markets.